Baldwin has a 60 year legacy of craftsmanship and innovation. Rated #1 in quality by builders and contractors, Baldwin is pleased to offer a line of luxury hardware for the discriminating consumer, our Prestige Series. Feel the difference - Baldwin hardware is solid throughout. With a 60 year legacy of superior style and quality, Baldwin is the choice for an elegant and secure presence The Venetian Bronze finish is hand-rubbed to reveal unique bronze highlights and provides a rich and warm complement to the product's style. This single cylinder deadbolt can be locked or unlocked by a key on the outside, or the turn button on the inside. Add the Schlage Connect Smart Deadbolt with Z-wave Plus enabled to your Z-Wave smart home or security system to control and monitor your lock from anywhere remotely. Never wonder whether you left the door unlocked again just open your smart home system's mobile or web app to lock it remotely.Comes with secure encryption, and a built-in alarm to alert you to potential door attacks. Easy to install with just a screwdriver. Pairs with your smart home system with the push of a single button. Low battery indicator gives you weeks of warning with a backup key to help prevent lockouts. Backed by a limited lifetime mechanical/finish warranty and 3-year electronics warranty, as well as the strength and durability you can expect from a brand with more than 95 years of experience. 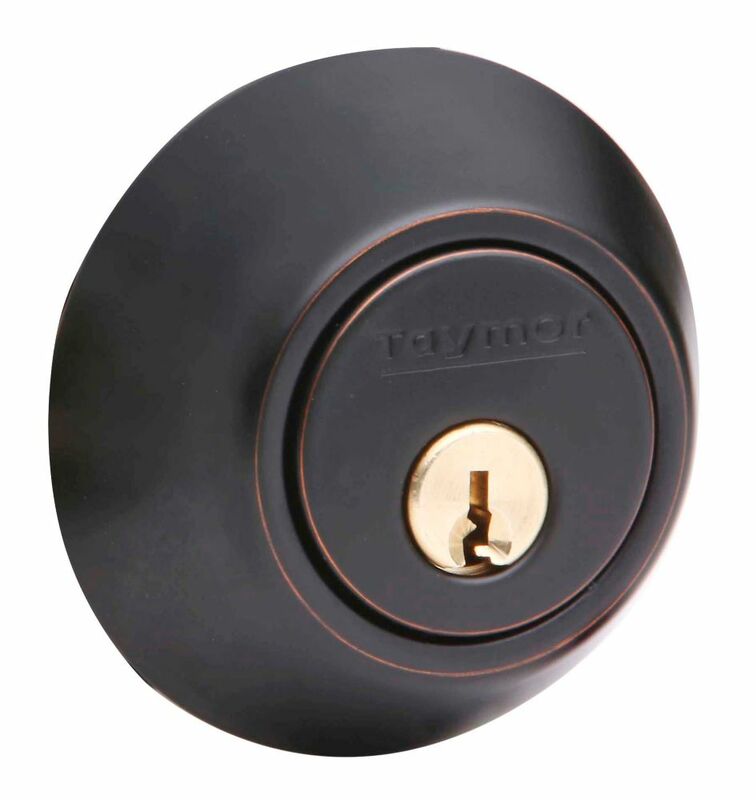 Single Cylinder Aged Bronze Deadbolt Our Professional line of locks includes our most popular styles in a wide range of finishes - the perfect choice for professionals and DIYers alike! Single Cylinder Aged Bronze Deadbolt is rated 5.0 out of 5 by 1. Rated 5 out of 5 by Freddy from Works Great! works exactly how it needs to work. Easy to install. And delivery was quick! pleasantly surprised how fast it was delivered!